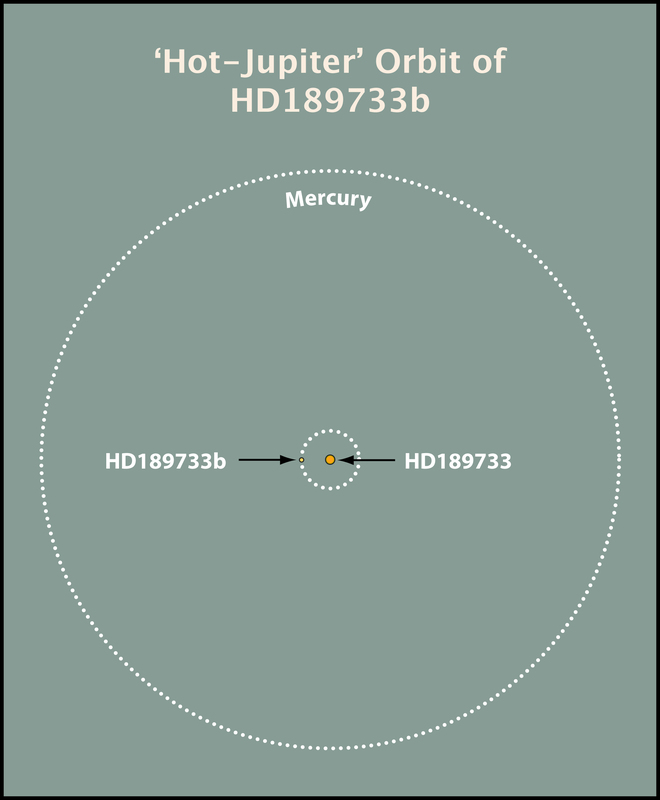 HD189733b is a "hot Jupiter"-type extrasolar planet. It is 20% more massive than Jupiter, but orbits 10 times closer to its star than Mercury orbits the Sun. Mercury's orbit around the Sun is shown for comparison. Credit: S. Redfield/T. Jones/McDonald Obs.